Anita has been in the real estate industry since 1984, including being a sales manager in several Auckland city and suburban real estate agencies as well as being a director of Homelink Realty. Most recently, Anita was a Business Development Manager at a strong Auckland property management company, where she was responsible for several initiatives which turned the business into a success and won multiple awards for her efforts. She has a determination to achieve the best results for our clients. 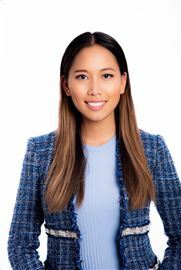 Focusing primarily on residential real estate, Anita has a strong understanding of the market, allowing her to provide intelligent and insightful advice Anita also possesses an acute awareness of client care, has an eye for detail and a reputation of diligence and professionalism. Offering a personal and individual service to each of her clients, Anita ensures that each person understands and is happy with the steps taken in the property management process. With more than 25 years experience in the Auckland property market, Mark’s focus is identifying and assessing properties for clients and providing straightforward advice. 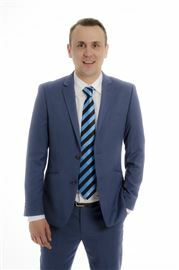 A licensed real estate agent in his own right, Mark is an Auckland CBD apartment expert who has been involved in the sales and marketing of a wide range of property including lifestyle blocks, commercial, inner-city development sites and apartments. Mark has a strong understanding of investment strategies, believes property is the best investment vehicle for people planning for their long-term future, financial security and independence. Most recently, Mark was sales manager at a successful smaller CBD Sales and Property Management company, where his team model was very successful. Since 2007, Mark has been involved in the sale of more than $250 million of property, mainly in Auckland. Grant is a seasoned agent with over 10 years of award winning sales for hundreds of happy home owners. Prior to matching property buyers and vendors, Grant worked in the IT industry for over 20 years gaining a wealth of experience in marketing, sales and e-Commerce. These skills have been refined and today attract qualified buyers through targeted Social Network Marketing, as well as the more qualified methods matching buyers and home owners. Not happy with your previous experience? Not all agents are the same! Grant provides regular feedback, honest communication, has sharp negotiating skills to achieve the best result and the best service possible, Contact Grant today for a free appraisal or for advice on where to invest or move to. City apartments or a holiday bach or home on Waiheke island perhaps? Email for sales reports on your preferred streets, area or a particular Waiheke property or Apartment. A few testimonials (more avail)...... "Thanks Grant, your persistence and determination succeeded where other agents did not. You sold our house at close to our target figure and skilfully managed a tough negotiation. We'll call on you again." - Chris and Steve Quinn. "Grant was very proactive with our property. He worked with enthusiasm and suggested approaches and price guidelines that were achievable. He negotiated with tenacity and realism and provided well informed advice." - Christine Spicer "We've enlisted Grant to sell three properties and always found him hardworking, professional and reliable. He's an effective communicator and gets results. I have no hesitation in recommending his services." - Andrew Smith (builder). Amanda has spent five and a half years in the internal accounts team of various Auckland property management organisations as the trust and sales account administrator. She has a further two years in customer service roles. Amanda graduated from the University of Auckland in 2016 with a Bachelor of Commerce degree majoring in accounting and management. She has a strong eye for detail and strives for perfection in what she does at Team Uptown. An investor herself, Anna bought her first Auckland investment property at the age of 19. Anna was most recently an award winning team leader in charge of training a 36 strong sales team on telephone and closing techniques. Anna loves real estate and talking to people. Cameron has been involved in telemarketing, banking and real estate from a young age. He developed his own investment portfolio by the age of 23 and has a passion for property. 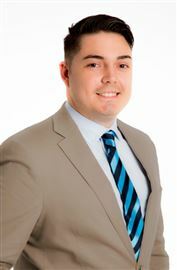 Cameron was most recently in another sales and property management team for approximately two years. His skills are with the relationships he builds with clients and he enjoys helping people find the right solution for them either by sale or property management. With five years experience in Auckland apartment sales administration at a successful CBD real estate company, two prior years experience as an administration assistant at Barfoot & Thompson, and a strong secretarial background working alongside senior management since 1985, Helen is a highly valued member of Team Uptown. Her career has included working for Fletcher Residential, and an investment banking company. Helen loves the personal touch, building long term relationships with clients and helping them find solutions. She is a real team player and gets great satisfaction from achieving a result through group effort. “I love working for Team Uptown because we work as a team and we are aiming for the same goals. We listen to what our customers want and we aim to please”. Kristen is a result driven property manager. Qualifications include a Degree in International Management and a Diploma in Business. She possesses excellent written and verbal communication, interpersonal and negotiation skills in English and Chinese, with the ability to develop strong relationships and influence with people at all levels. Our clients will enjoy her ‘can do’ attitude. Kristen is a highly ethical individual with a strong customer focus. Has a passion for providing excellent service and deals with people in a cheerful, professional and confident manner. Quality living. Great return ! Be quick, or be gone! How about an end unit?